What use is a committee, or what does a committee do? 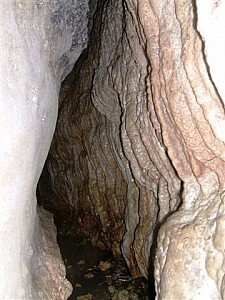 After all WCG has just 30 paid up members (actually pretty good for a caving group), and perhaps that many again who stay in touch with us via our email lists, and no doubt a few more from other caving groups who use our website; why do we need a committee? Well rather than answer that question let me tell you about the sort of things that have been going on from the committee point of view, and then ask you a question in return - "which, if any, of these things, should WCG be doing?" - and challenge you to answer. 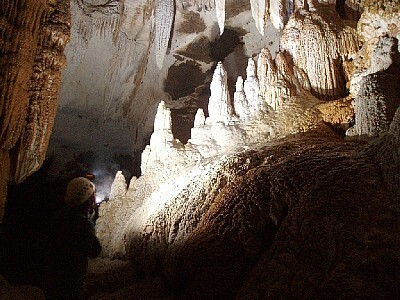 First, and perhaps foremost in most people minds, we are a caving group, so we go caving, and as an adjunct to this we have a monthly club night ten times a year where we both arrange trips and communicate to members, have a speaker, presentation, or video, and perhaps an activity. The committee works to ensure that both trips and club nights occur, and are publicised. Activities also include some "social" ones, such as the AGM wine and cheese, the end of year BBQ; some "training" ones such as SRT practice, new members nights and trips, and bulk gear purchase to save members money. Having a program where trips and club nights are known about for several months in advance allows members to plan for and commit early to trips and activities. A goal is at least one trip a month, with a major trip once a year, plus social activities, and a second trip monthly over the warmer summer months, including a contingent to the major trips such as the AGM, Paturau, and Charleston. Then, as a club we communicate with each other, with SumpThink, club nights as mentioned, email lists, and importantly our website. The committee provides the support and encouragement for all members to assist with and contribute to these communication for the benefit of us all. It is no small task to make sure the club is informed. All members can and should take advantage of the website, email lists and SumpThink, all are accessible, and easy to contribute to and use. Yes, there is some administration, every year we have memberships, including handling and chasing up all membership forms and payments, some years it works better than others. We have a bank account with a reasonable level of funds, and nearly two thousand dollars worth of assets. Members should have a high expectation that this is handled prudently, transparently, and effectively. To do this requires maintenance of financial records, and asset register (including tracking where the assets are), and a budget and spending plan. Its only in the last two years that the committee has moved to do this. Its not unreasonable to club members to be able to see what the committee is doing (committee meeting are open to all who wish to attend), so the committee has both and agenda and minutes. And without actions items assigned to people made available immediately after meetings little will happen. Our major assets are the WCG karst index, (developed at no cost by Mike Wood) which can provide a lot of information about the caves we visit, but only if club members put information into it; the club library - which is best used, our hire gear; our SRT kits, kitchen kit, Survey kit, and SaR equipment, and carbide for sale. In particular it is important that gear hire is paid for, and carbide is accounted for. WCG is affiliated to NZSS, NZSS don't consult with your committee at all, but really it would be good to be much more involved in our national caving body. I'm sure I've overlooked some things here, but this should give you the gist of it. What do you think the club should be doing?